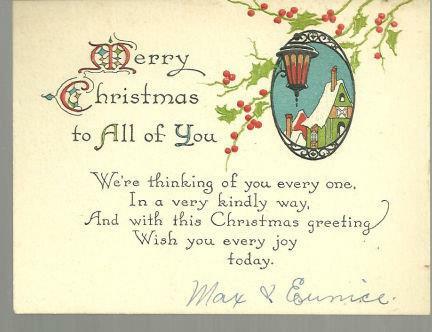 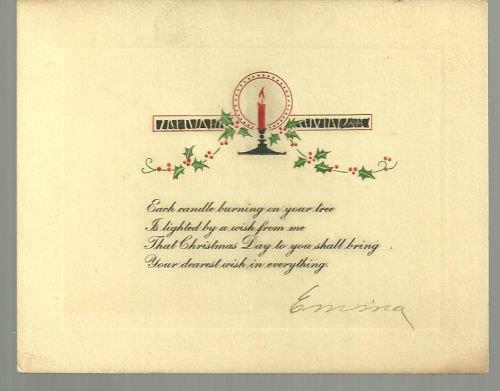 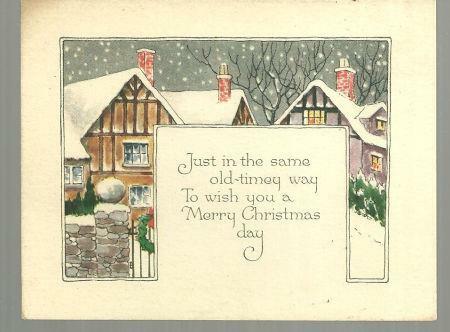 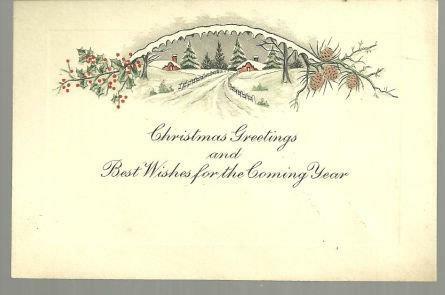 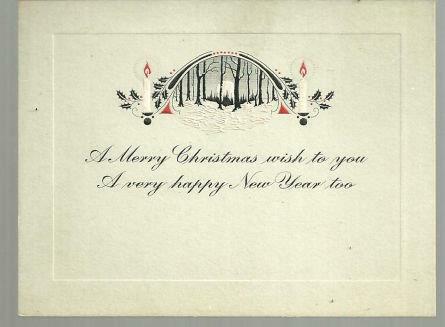 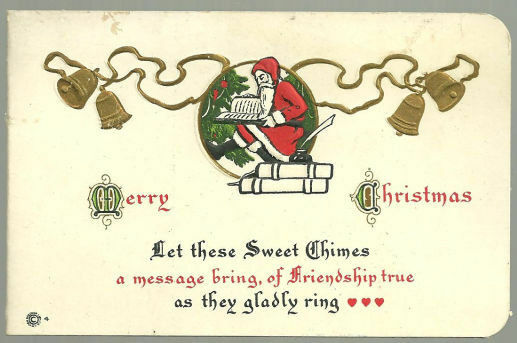 Very Good; Vintage Best Christmas Wishes Card with Snowy Town. 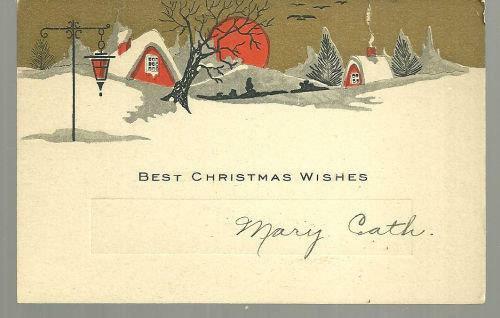 Card is 3 1/4" high and 5 1/4" across. 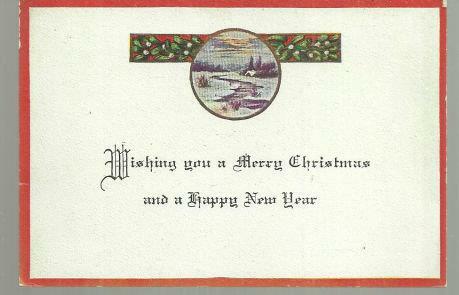 Card is in very good condition, slight wear at edges, names on front, back is blank.